1. 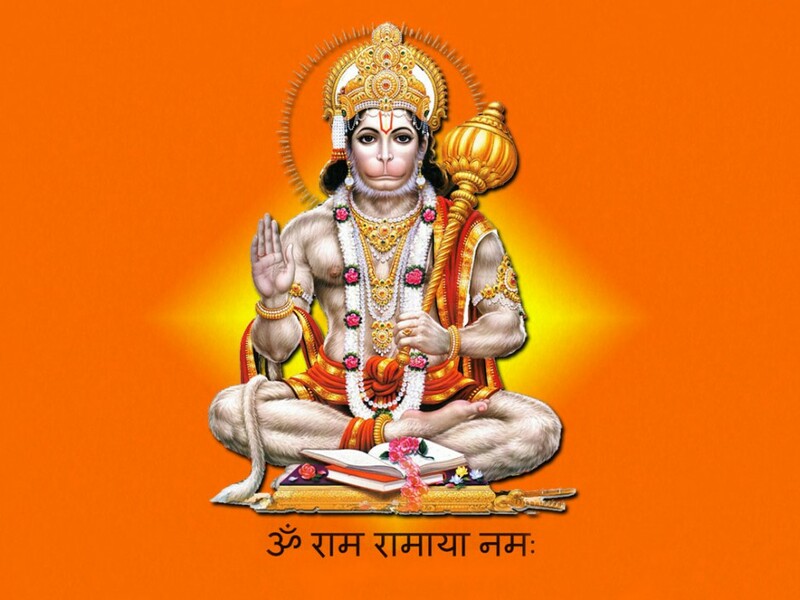 Some say Hanuman was born as the son of the King and Queen of the Monkeys. To others, he is the son of Anjana, an female Apsara who had been transformed into a monkey by a curse, and Vayu, the wind god. It is also said that from his father Vayu Hanuman received the ability to fly. 2. As soon as Hanuman was born he felt hungry and his mother could not satisfy him. Then he caught sight of the Sun and thinking it was a fruit he leapt after it. The Sun took flight but Hanuman chased him as far as Indra’s heaven. Here however, Indra intervened and injured Hanuman’s jaw with his thunderbolt. 3. But his father was quick to avenge him and entered the bodies of all gods and gave them colic. Indra pologized to Vayu and agreed that Hanuman should become immortal. All the gods came together to bless young Hanuman in a cave.